Snorkeling is a beloved sport that most tropical vacationers indulge in while abroad. This is the best way to get a taste of all the beautiful underwater world has to offer. However, this little taste may not be enough and strong swimmers will often be tempted to go a bit deeper. 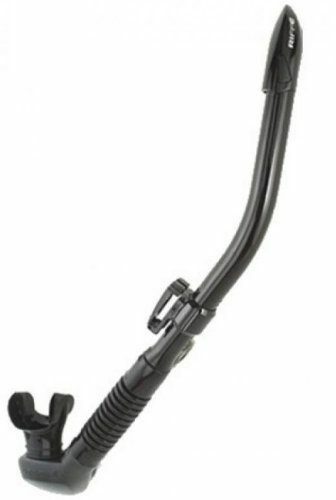 A dry snorkel features a one-way valve at the top of the snorkel that allows water to not go into your snorkel. This is great for those who are looking to dive down or accidentally splash water on the end. The best dry snorkel will ensure your diving experience is much more enjoyable. We’ve already reviewed other snorkel gear like snorkel masks, dive fins and snorkel gear packages. So, now let’s talk about the best dry snorkels. We know you will fall in love with the ocean and did our part to make your vacation unforgettable by finding you the best snorkels on the market. 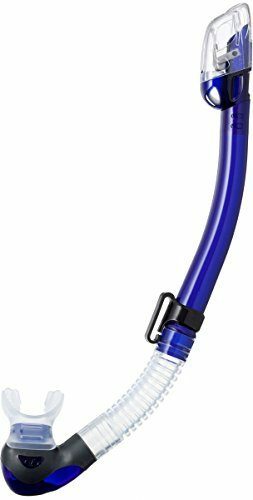 This dry snorkel features a highly flexible tube that will move with you ensuring you can turn your head to see all the fish without the dreaded jaw fatigue. This Cressi option is great for travel as it folds into a compact size to fit easily with your luggage. The bottom of the dry snorkel features an easy to clean one way purge valve which allows you to rest assured you won’t have to battle any water. Not only is this an inexpensive option it comes in 19 different colors so you will always stand out in the water. This snorkel will give you the ability to dive to depths you never thought possible. Cressi has been making diving gear since 1946 which has given them an overwhelming amount of experience. This dry snorkel has been a culmination of this experience. High end materials and advanced technology have created this dry snorkel to not only exceed your expectations but also look stylish. 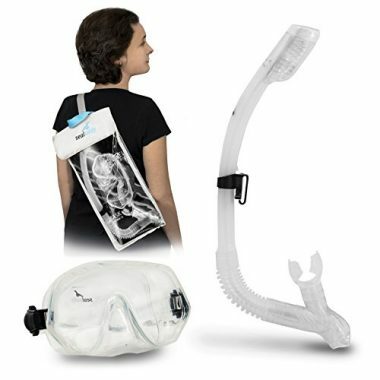 Its lightweight design and flexible material reduces the strain on your jaw and gives you more time underwater. A wide opening doesn’t restrict your air and lets you breathe as if you weren’t in water. This is not only a top of the line dry snorkel, but also includes a frameless mask. Instead of using a float like other snorkels the Sealbuddy Maui snorkel uses a ball which reduces buoyancy. 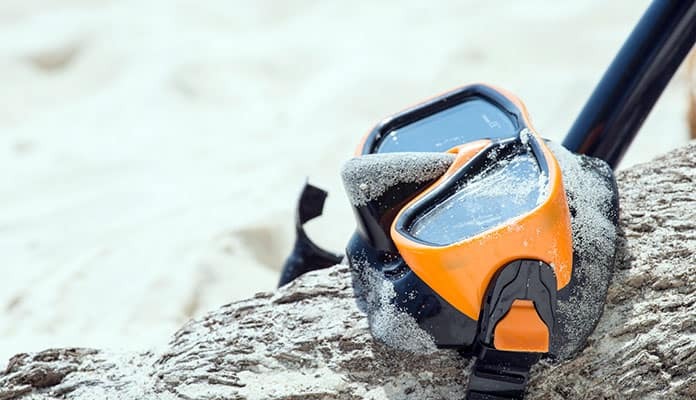 Using high quality materials ensure that not only your dry snorkel, but also the mask, will stand up to the salt water of the ocean and last for years to come. This company is so sure of this that they include a complimentary one year warranty. 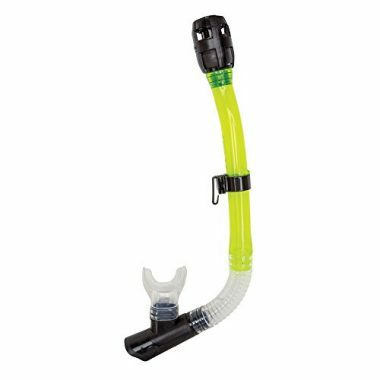 This Phantom dry snorkel is a top rated snorkel. It has a replaceable mouthpiece with extends its life also making it perfect for a family of divers. This setup is small enough to fit in a day bag so you are always able to jump in the water. The tube is easy to purge and even includes a self draining chamber making sure you have zero water in your snorkel. You can’t beat the value for the cost of this snorkel. A curved mouthpiece provides superior comfort even during longer trips. Cleaning this snorkel is easy with a one way purge valve. Many dry snorkel reviews are raving about the lightweight design of this snorkel making it easier than ever to travel with. The flexible tube allows it to even fit in your carry on bag. You can show your style with the many different colors this snorkel is available in. 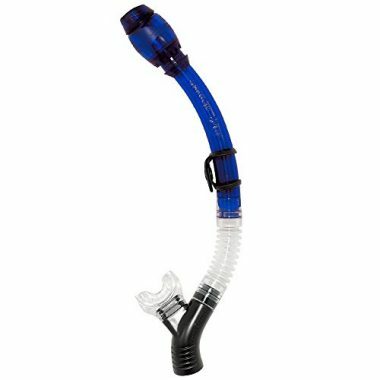 An adjustable dry snorkel keeper allows this snorkel to easily adjust into many comfortable positions. 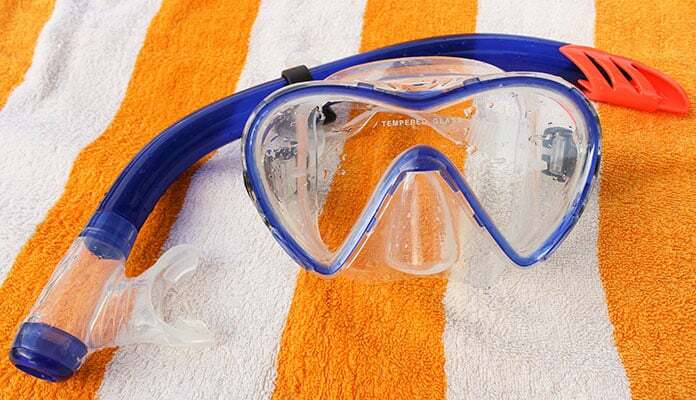 The hinged design of this dry snorkel allows it to easily connect to your face mask. A low profile design leads way to a comfortable mouthpiece that is molded to fit comfortably in your mouth. A flexible vinyl tube folds easily to fit easily into your luggage when traveling. The dry top is shaped similar to a shark fin allowing it to move easily through the water without catching on any seaweed or other floating debris in the water. The XS Scuba M-Line dry snorkel is one of the top snorkel masks. A valve system closes when you descend into the water and an easy to use button will purge any water that manages to get into the tube. You won’t have to worry about exhaling to open the flap when you surface as it will open automatically for you. The mouthpiece is completely adjustable and fits comfortably in your mouth. A flexible air tube allows you complete control to contour it to fit comfortably for you. A drop away flex mouthpiece sits comfortably in your mouth reducing the chances of jaw fatigue. The lifespan on this dry snorkel will undoubtedly increase as it has a fully removable and replaceable mouthpiece. An ergonomic design allows this snorkel to excel in both comfort and performance. A low profile design ensures unparalleled airflow through this snorkel. Tusa has designed a dry snorkel that has reduced drag and can even be put in a horizontal position for added speed. You won’t have to worry about diving waves as the high tech valve can detect water and instantly closes so you never have to worry about water entering your tube. A large diameter tube will give you full breaths without making you struggle to catch your breath. The mouthpiece has been specifically designed in conjunction with the tube to create the least amount of pressure on you mouth and jaw. This will give you more time in the water than you thought possible. Featuring a removable and replaceable mouthpiece ensures that this dry snorkel will last you many years to come. A contoured top allows for the least amount of drag as you move through the water allowing your swim to feel even less restricted. A comfortable and flexible mouthpiece prevents against jaw fatigue as you will not need to bite down but rather just rest in the mouth. This dual valve system ensures that no water enters the mask and allows you the best air flow. Dry snorkels come with varying diameter of tube. The later tubes have more space inside, so there is more space for the air to flow through. These tubes are great for beginners as they are easier to breathe through. Smaller tubes are harder to breathe through as there is less space, but they also take up less space than the larger tubes. You should also be thinking a little about rigid vs. flexible snorkel tubes. As the name would suggest, a flexible snorkel tube will bend at the mouth, so that you can reposition it in numerous ways. I rigid tube is fixed in position. With a flexible tube, you have some flexibility and variety about how you place the mouthpiece in your mouth. Rigid tubes can be uncomfortable if you cannot find the correct position for the tube, but they have the advantage of staying in place more when you are swimming through the water. If you have a mouthpiece which is not comfortable, then you are not going to enjoy your snorkeling trip. When you are trying out mouthpieces, you should try to find one which site comfortably in your mouth, and one which should not have to bite down too hard to keep in place. If you are clenching your teeth for the duration of your snorkeling trip, then you are going to feel sore and stressed through the swim, and especially when you are done. The other thing to look for is replacements. Over time, the mouthpiece is going to become worn and bitten. If you can replace the mouthpiece, then you do not have to worry about replacing the entire snorkel. There is nothing worse than getting some water in your mouth when you are snorkeling. Especially if the water is salt water. When that happens, then it is essential that you get the water out of your snorkel quickly and easily. Make sure that your snorkel comes with a purge valve. You can use the purge valve to blow the water out of the snorkel. Look for a good position of valve. One which is easy to reach. The valve should also be easy to blow through. When you are choosing your snorkel, you have a choice of the best dry snorkels, semi-dry snorkels, and classic snorkels. Your choice will depend on what you are looking for in a snorkel, and what you need a snorkel for. The classic snorkel is basically a big curved tube. There is no valve in the top of the snorkel, and water can get in if the snorkel dips under the water. They are hard to clear if you get a lot of water inside them, but they are cheap and easy to find. Semi-dry snorkels have a splash guard on the top. If water splashes onto the snorkel, it will not get in, but if you submerge the snorkel, the water will. The best dry snorkels have a valve on the top to keep the water out. They are expensive and heavier than other snorkels. Q: How Do Dry Snorkels Work? A: There is a float inside of the best dry snorkel (there are other ways of letting the water flow too). When the top of the snorkel is above the water, the float is above the water and air can flow through. If any water splashes or drips on the snorkel, it will get in. You can purge the water through the purge valve, which will allow you to blow the water back out of the snorkel. If the snorkel becomes submerged, then the float rises and the top is sealed. The water will not be let in, and neither will the air. This is great when there are waves above the water line, or if you want to dive down deeper without filling your snorkel. As water will splash, there are ways for water to get into the snorkel. If you are under the water and take your mouth from the mouthpiece, then water will also get in. This is when you will have to use your purge valve to get rid of the water. At the base of your snorkel, there should be a purge valve. This is a one-way valve which you can blow through. Expel one or two short, sharp breaths through the valve to get rid of the water. As small particles can get into the valve, you should always rinse it out when you are finished snorkeling. Q: What Is A Dry Snorkel? A: The best dry snorkel is a snorkel with a valve. A float system will stop the water getting in, and will keep the inside of the snorkel dry. They are bulkier than regular snorkels due to the float system. They are also more expensive than classic snorkels. Having a dry snorkel will ensure that you don’t get any water in your mouth and make swimming below the surface much more enjoyable. These snorkels are excellent for swimming in water with a bit of waves as it ensures a one way movement of air and doesn’t allow any water to enter. 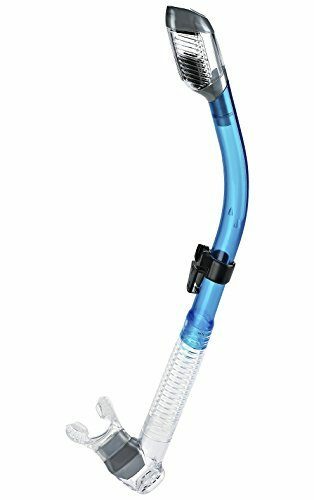 This is the best dry snorkel type that is great when traveling to deeper waters as you no longer run the risk of inhaling water into your lungs. 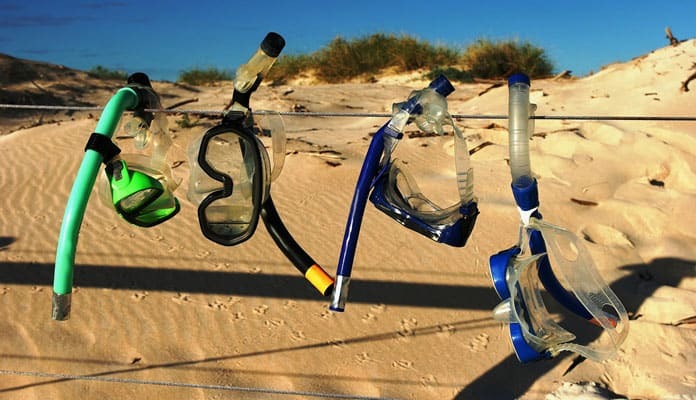 Any of the top 10 best dry snorkels on our list will ensure your vacation is unforgettable. Now, all that is left for you to do is grab your bathing suit and jump in the water. 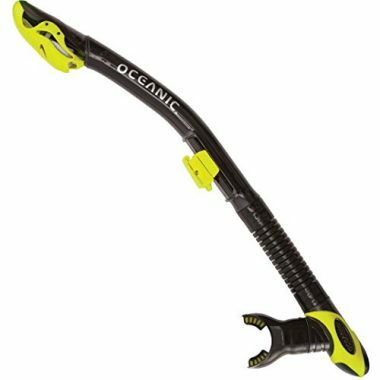 Have a one of the best dry snorkels that made it on our list? Let us know how you like it in the comment section below.